Beautiful as book covers are, when they’re all lined up on the shelf you can’t see them. That’s why this book cover post is decicated to one of my favourite book spines. 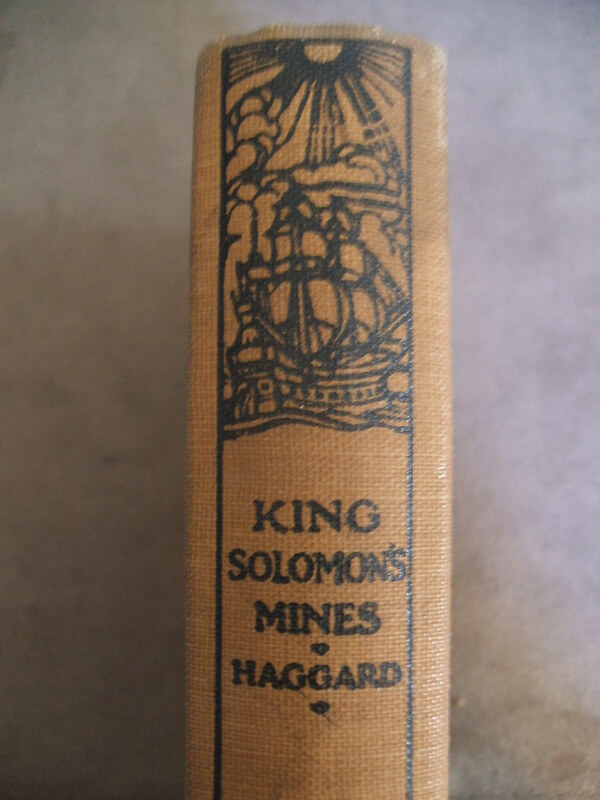 The little ship on this edition of King Solomon’s Mines makes me smile every time I see it on my bookshelf. This entry was posted in It was the cover that caught my eye. Bookmark the permalink. Post a comment or leave a trackback: Trackback URL. « Knitted things- now on Folsky!